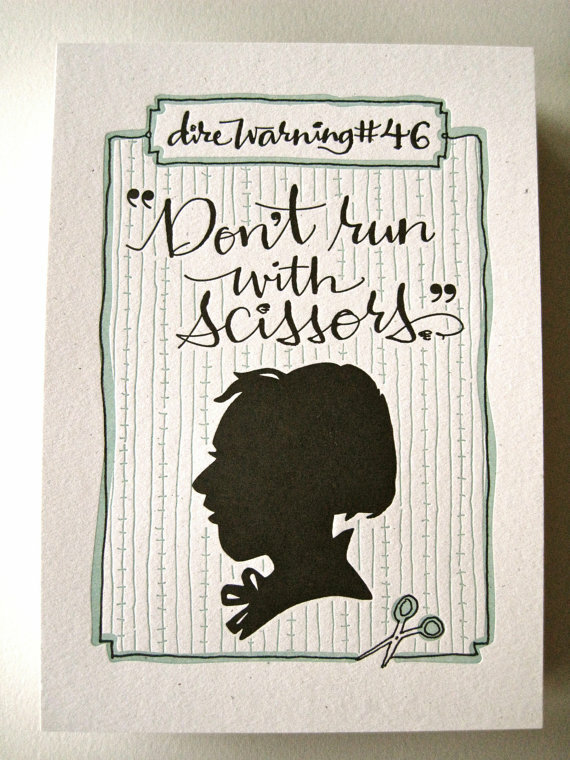 Please tell me you love Tag Team Tompkins newest letterpress art as much as I do! 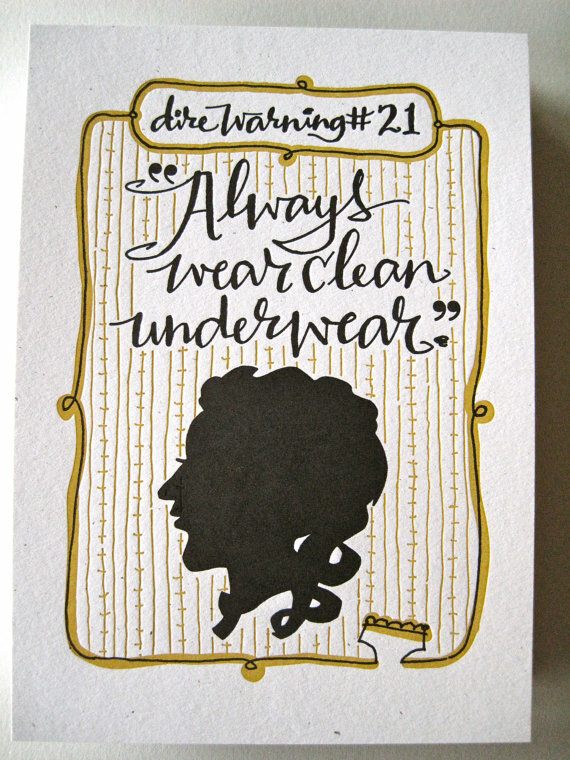 Diane and Madeline recently sent me some of their latest work and I could hardly wait to share it with you. 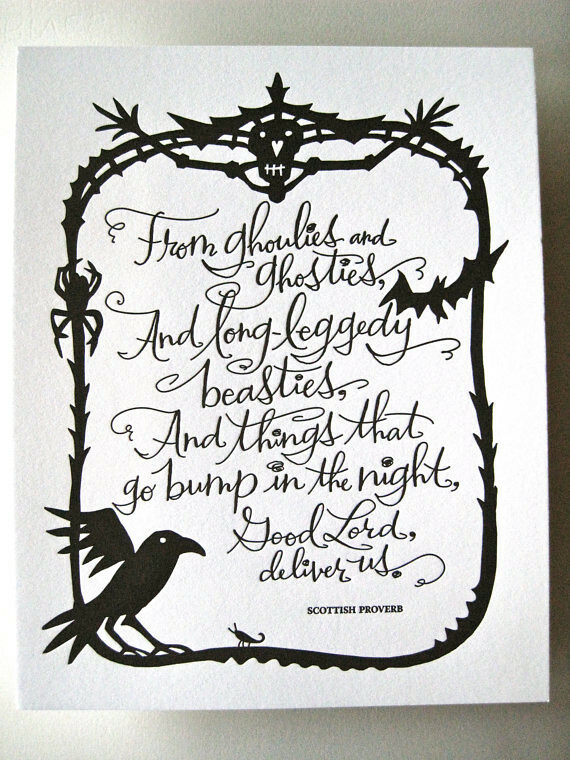 My collection of Halloween decor is growing with the help of their Scottish Proverb, and I'm pretty sure my mom needs this pack of Halloween prints don't you think? Isn't the black with silver ink just gorgeous? I also have four of their Dire Warning prints waiting to be hung in Z's reading nook. And now for my exciting news. Diane + Madeline are offering FREE SHIPPING to Narrating Life readers for the remainder of 2011! Stock up right now if you need some Halloween prints of your own and while you're at it, perhaps you need a few Christmas gifts? I'm just sayin'. To take advantage of Diane + Madeline's generous offer just use the code MWSHIPFREE (domestic addresses only) between now and the end of 2011! Many kind thanks to Diane + Madeline. Happy shopping! Ooh...pretty! 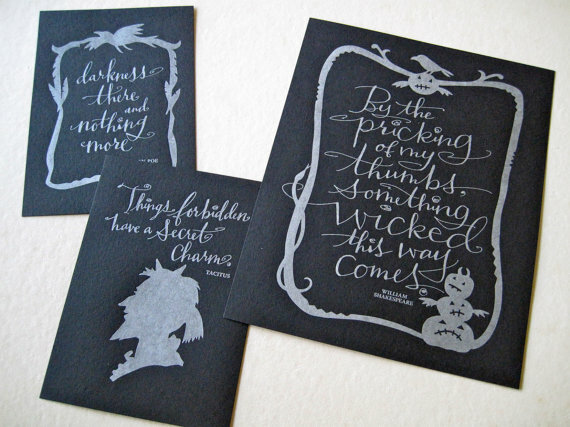 I'm a sucker for letterpress and these are the kind of Halloween decorations I can get behind.